The South Arkansas Arts Center’s Theatre Committee announces the selection of Haley Nix Phillips to direct William Shakespeare’s “Twelfth Night,” the first production of our 51st season. The production is sponsored by Teague Auto Group and Southern Bancorp and opens in the Callaway Theatre on February 28 and continues through March 8. Auditions are scheduled for January 12 and 13. Phillips received her B.A. in Theatre from Southern Arkansas University and her M.F.A. 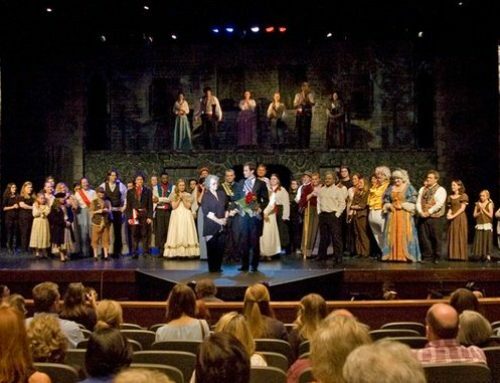 in Theatre, acting emphasis from the University of New Orleans. She has also worked in area schools as an Artist in Education through the Arkansas Arts Council. “I’ve been in love with Shakespeare from the first reading, and I’m thrilled to have the opportunity to share Twelfth Night at the South Arkansas Arts Center. I also love working with actors, and I want this production to be a fun collaboration. I’m hoping to see experienced actors at auditions, along with any folks who just think they’d like to try ‘doing Shakespeare.’ I’d like to keep this production fairly simple, focusing on the story itself. I want it to be as accessible to the audience as possible. The setting is ‘a long time ago,’ and the interpretation will be literal,” said Phillips. For more information about the production of “Twelfth Night,” contact the SAAC office at 862-5474 or visit www.saac-arts.org.